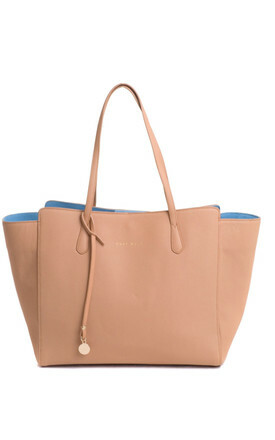 The Mae Tote comes with a hanging pendant decoration suitable for engraving. A top small flap with magic snap closure. Inside has 1 open pocket, 1 zipper wall pocket and luxurious cotton twill lining. There are 5 metal studs on the bottom. This style makes the perfect bag to carry your laptop or tablet.